A few weeks ago, I had to undergo the emotional ordeal of waving goodbye to my rather tatty looking, stamped filled passport. I’d been putting off renewing it for several months but fate had intervened, and in order to get to TTT’s next destination in August, I needed a new one, and urgently. Coinciding with the traumatic separation of myself and my beloved passport was also a week’s holiday with my long-suffering Instagram husband. We’d been considering a last-minute European city jaunt, but now passportless, we needed to look a little closer to home. With the fear that our week-off together would be doomed to mowing the lawn and re-applying the shed roof that had blown off two years prior, I sent a panicked email to Small Luxury Hotels of the World for some advice. 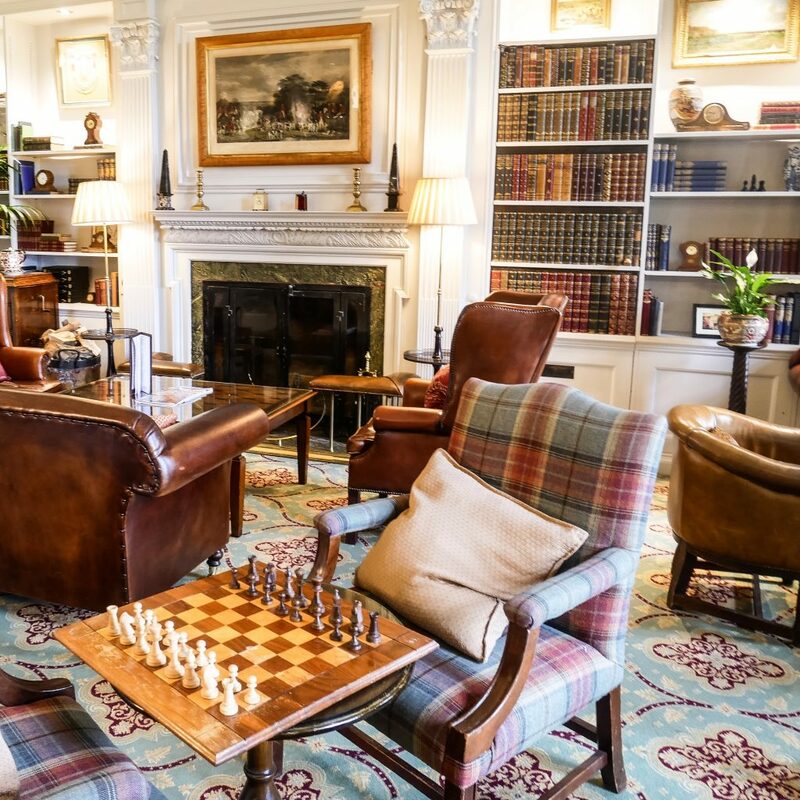 The team replied within the hour, and just a mere 24-hours later, with the rain drumming down – as it likes to do in England – we set off into the deep Leicestershire countryside to indulge in our very own mid-week country retreat at Stapleford Park. Making our way up the grand staircase, the carpet luxuriously soft underfoot, we were led to our room for the night, curiously named the ‘Flemish Tapestries’ room . This is one of just 55 rooms in the hotel. As the door slid open, and our State Room was revealed, it quickly became apparent where the room had got its name from. 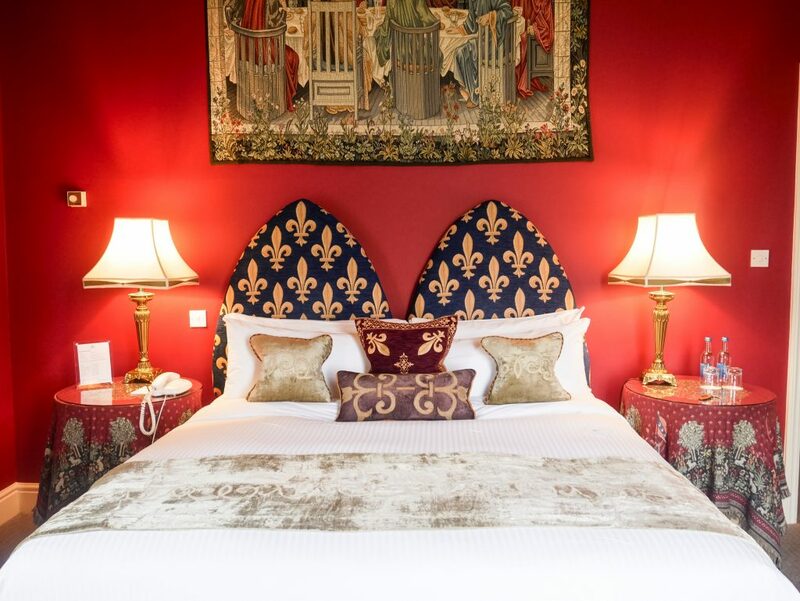 Climbing the small set of stairs into the sleeping area – offering panoramic views out over the park and a huge king sized bed – we were greeted with intricate tapestries adorning the deep red walls. I felt like I had stepped back in time to a sumptuous medieval fairytale. The rain still pattering down, I hopped onto the bed – hopping being the operative word given the immense size of it – and snuggled down under the duvet. Suddenly, the idea of ever contemplating a rushed European trip, with its dreaded airport queues seemed like madness. In just over an hour, I had arrived in a pocket of rural paradise and I couldn’t have been happier. Stapleford Park has a long and fascinating history, with records taken during the Norman Survey in the 14th century recording its existence. Stapleford Park was passed frequently between families before staying in the possession of the Sherard family from 1402 for 484 years. The portraits of both William and Abigail Sherard – those that restored the Old Wing of the hotel – still hang in the main hall above the grand staircase. The sense of the building’s history runs throughout the hotel, and as I lay in bed, scoffing the delicious locally sourced fudge I had found in the room, I contemplated all that had stayed here before me. Watching the sheep slowly trot across the fields, I felt a million miles away from modern day life. After finishing an entire packet of fudge, and sampling the sloe gin also found in our room, it was time to explore the Capability Brown landscaped grounds of the hotel: all 500 acres of it. We began with a traditional game of croquet on the hotel lawn, refusing to acknowledge the gusting winds or drizzle. 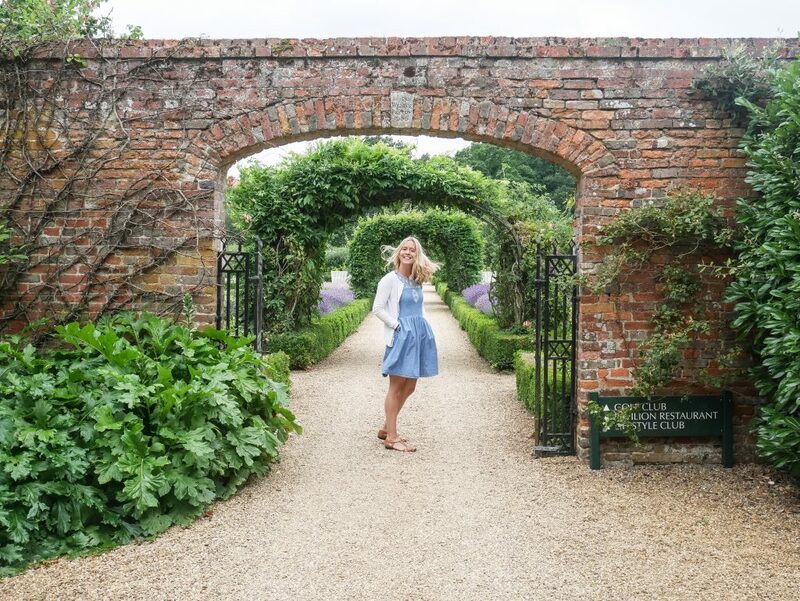 After spectacularly missing the croquet ball and hitting my foot, it was time to hobble off towards the beautiful walled garden, the smell of lavender luring us closer. We finished our outside exploration with a game of giant chess. Whilst staying at Stapleford, there are a number of country pursuits that you can also book before your stay, including horse riding, clay pigeon shooting, falconry and archery. Our final indulgence before dinner was to the hotel’s indoor swimming pool. 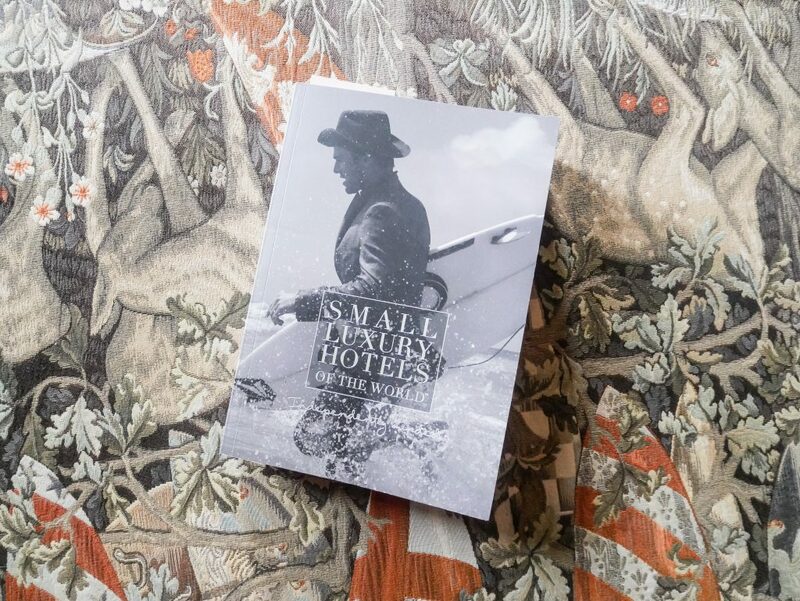 Nestled away in a quiet part of the hotel, we took our books and, after a long jacuzzi session (I was near prune state by the time I emerged) we reclined on the sun loungers – our buzzing phones left firmly back in our room. Stapleford Park is also home to a spa located in the converted Victorian stable block if you’re looking to indulge in some extra pampering. I’ve already added a Stapleford Spa Day to my birthday list for next month. Dinner was a true highlight of our night at Stapleford park. Taking our seats in the romantic dining room, with candles fluttering and the summer night slowly drawing in, we dined on juicy tomatoes with goats curd, succulent duck breast with feta and, the pièce de résistance, dessert: ‘tea & biscuits’ with frozen cookie dough and ‘Grandpa David’s’ milk ice cream. Delicious. The sun now set, and the gentle flicker of the candles lulling me towards sleep, we took our bursting bellies and weary feet up the staircase to our room. Our night’s sleep was deep, undisturbed and joyously comfortable. The following morning, woken by the gentle sound of birds tweeting, I watched rabbits dance around the hotel’s grounds, as I treated myself to a bubble bath in the equally grand bathroom. It was becoming clear as to why the Sherard family had held onto this home for so many years. Over a slow, full-English breakfast, we began to plot our day; eager not to return to reality too quickly. Now enjoying our foodie extravaganza far too much, we decided to pay a visit to Melton Mowbray, just as soon as we could bring ourselves to part from our Flemish Tapestries room. Reluctantly, however, it was time to say goodbye to Stapleford and as we left, the rain continuing, the team gave me perhaps the most important of British gifts – an umbrella. 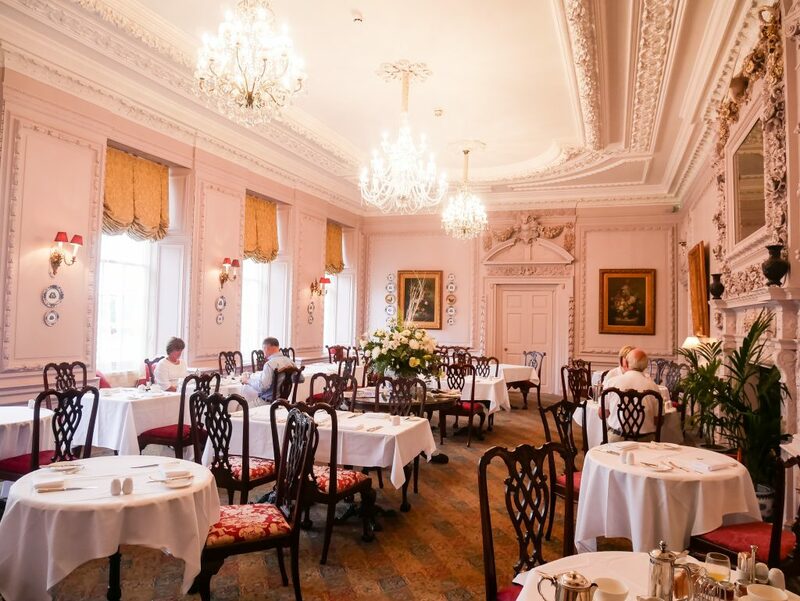 Melton Mowbray – also known as the Rural Capital of Food – is just a ten minute drive from Stapleford Park and home to to the famous Melton Pork Pie and Stilton Cheese. With both delicious, calorific treats being favourites of mine, and with the rain still drumming down, we strode forth into the town to stock pile. Unlike other pies, the uncured meat of the Melton pork pie is grey in colour and the meat is chopped rather than minced. Hand made rather than mould-baked, they also have a delightful irregular shape and were the staple treat amongst fox hunters in the late 18th century. On our mini foodie adventure, I also discovered that Stilton Cheese actually derives from the village of Stilton in Cambridgeshire but, ironically, today cheese made only in Derbyshire, Leicestershire and Nottinghamshire can be called Stilton due to the strict regulations in its creation. 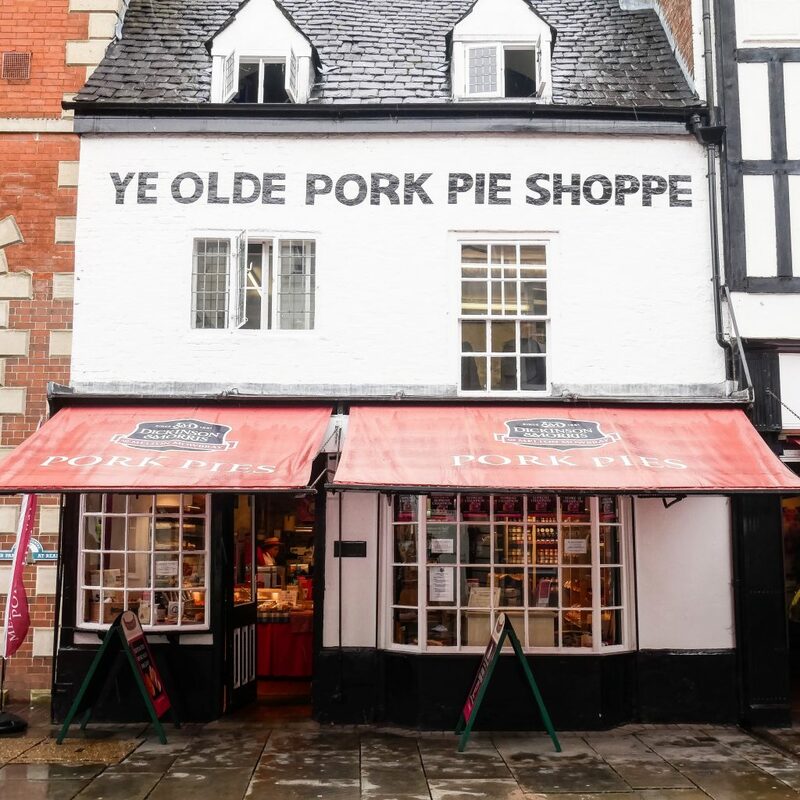 We successfully found Ye Olde Pork Pie Shoppe – our giant Stapleford Park umbrella shielding us from the rain- and spent half an hour picking the most wobbly shaped pork pies we could see, alongside cheese and a batch of sausages for good measure. 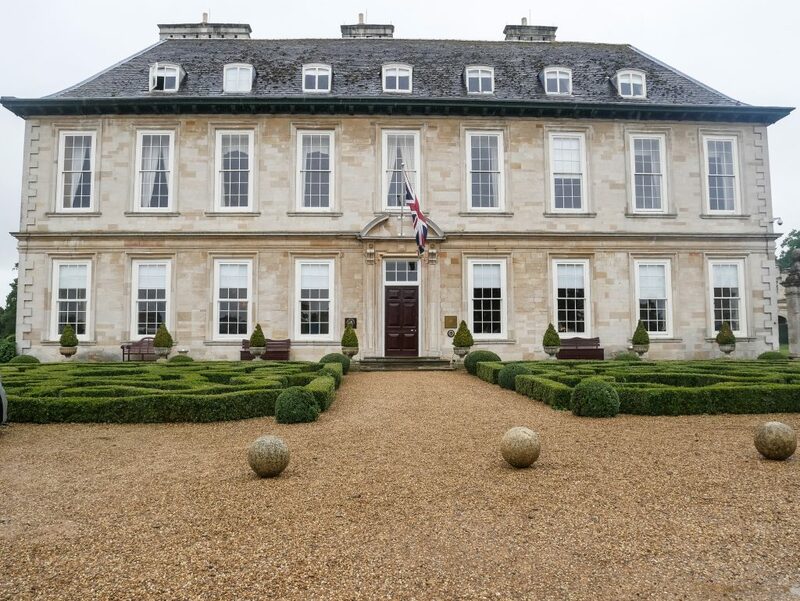 Free of any airport stresses, flying nerves or squabbles over who’s turn it was to drive the hire car, our mid-week treat at Stapleford Park left us refreshed, relaxed and with a new found appreciation for enjoying what we have on our doorstep. Our day ended at home on the sofa, tucking into a pork pie and some cheese. What more could you ask for? Thank you to Small Luxury Hotels of the World for inviting me to Stapleford Park – it was the perfect midweek escape! Prices start from £185 per room, inclusive of breakfast – visit their website to book. Ohhhh, tell us the name!